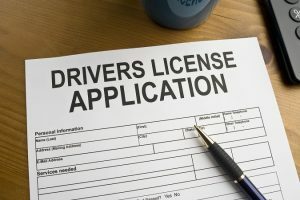 On Tuesday, June 21, the Arlington County, Virginia, Board plans to vote on a resolution to approve granting driver’s licenses to illegal aliens. The reasons proponents of the measure give for seeking its passage, however, are fatally flawed. Update: The Board voted 4-0 to approve the resolution. For starters, Libby Garvey, chair of the Arlington County Board claims there is an “economic benefit” to granting driver’s licenses to illegal aliens. “Having a car enables folks to connect to their jobs and be more stable members of our community,” she asserted. “If we don’t do that, then we are just sort of pretending that they are not really here and they are not working,” she continued. Her argument, however, is belied by the fact that federal law generally prohibits illegal aliens from working in the United States. Granting them driver’s licenses to get to and from work then only enables illegal alien law-breaking, making it easier for them to not only further violate the law, but to displace American workers. Next, chairwoman Garvey argues that granting illegal aliens driver’s licenses will increase public safety. “And there is a whole public safety aspect to it because if you get a license, then you have to make sure you know how to drive the car, which is a good thing to operate a vehicle,” she said. Now, not many in their right mind would dispute the claim that it is a good thing to actually know how to operate a vehicle if one plans on driving, what is ridiculous though is that the same goal of public safety could be better achieved by doing the opposite. That is, keeping illegal alien drivers off of the road, rather than doling out licenses to individuals who by definition lack legal identification. Subsequently, Garvey argues that granting illegal aliens driver’s licenses will ensure they get auto insurance. Again, this argument falls flat on its face, as there is no evidence that granting illegal aliens driver’s licenses encourages them to get insured. 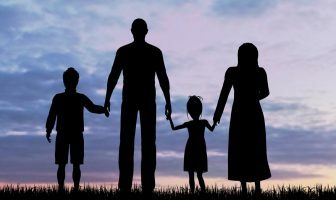 To the contrary, while California issued 650,000 licenses to illegal aliens in 2015, only 11,348 people (not all of them necessarily illegal aliens) bought insurance through a state-run insurance program for low-income individuals, which illegal aliens disproportionately are. Moreover, New Mexico, which has been granting driver’s licenses to illegal aliens for more than a decade, reportedly has the highest percentage of uninsured drivers in the country. Perhaps this is not “extraordinary” to the Arlington County government, which is also a sanctuary city, but to many Americans, granting driver’s licenses to illegal aliens is astonishing and a flagrant slap in the face to the rule of law. 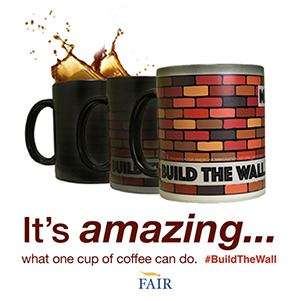 Law-abiding citizens and legal residents should never have to grow accustomed to such policies, or be made to feel abnormal for refusing to accept the lies and false logic of the illegal alien lobby. 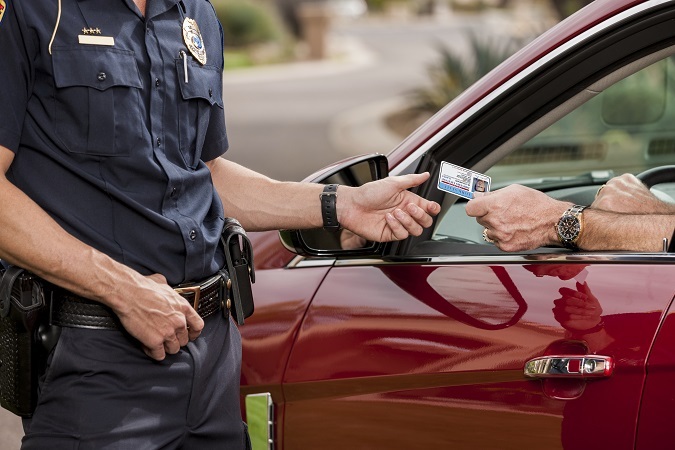 Yes, it IS “extraordinary” to give driver’s licenses and identification to those without ID—don’t let anyone else tell you otherwise…. Previous ArticleJustice Department Chooses to Ignore the Law? the reason they are all getting drivers licenses now is so they can vote! at the DMV, they give you a voter registration form when you come in for a new license, where are the Repubs on this? Northern Virginia is nothing more than part of DC. They are all fools up there. I live in Virginia Beach and this nonsense would never fly here!! How does an illegal alien pay taxes, by buying stuff? or is it by working under the table (illegal), or perhaps using someone else’s SSN (illegal)…just curious? They frequently either make up a SS number or use someone else’s, both being illegal. But IRS employees are told to do nothing about it. A lot of times people with the legitimate number have major problem such as getting turned down for loans or passports. Even if they have good reason to believe that it’s being used by someone else, the government will not tell them any information about another person using it. American citizens go to jail for identity theft. Illegals get proposed for citizenship. Just the kind of people we need here. Ignore our immigration laws and steal another person’s identity. One time I got several letters over a couple months from the local elementary school. They were addressed “to the parents of” followed by Spanish sounding names. I sent them back everytime marked never here. It was no harm to me but clearly someone was using my address. The Clinton campaign should have to declare NBC Nightly News as a campaign contribution. 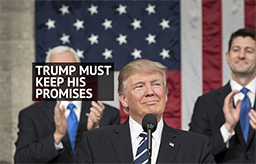 After today’s Trump speech they portrayed everything he said as wrong by pointing out some minor things he said were incorrect. They never pointed out he was absolutely correct on her leading role in pushing for the elimination of the Khadaffi government in Libya that led to large areas of the country being taken over by ISIS, a group he kept a lid on. Or his true contention that some of the worst human rights violators in the world have contributed tens of millions to the Clinton Foundation. That includes the Mideast Gulf states of Saudi Arabia, Qatar, Oman, Kuwait, Oman and the United Arab Emirates. In fact, in a Human Rights Watch report on the UAE in 2014, they said that “female migrant workers suffered abuses that amounted to forced labor and trafficking.” How come the big feminist Hillary doesn’t get that asked about that? Its about 5 to 1, bring up unimportant Trump anomalies and IGNORE Clinton’s CRIMES…. There are some key flaws in this article. 2. The states that have offered licenses to the undocumented have seen a drop of 30% in traffic fatalities, traced to the passing of a law allowing those who pay taxes to drive. 3. The California insurance numbers don’t have anything to do with each other. Just because someone is undocumented doesn’t mean they are low-income. Many immigrants without papers are middle class and pay for regular car insurance like everybody else. More people paying insurance means lower rates for the rest of us. 4. Arlington is not a sanctuary city. 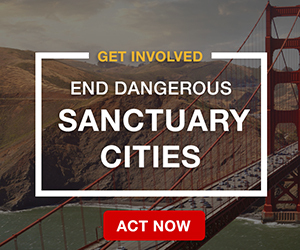 There cannot be any sanctuary cities in the state of Virginia due to state laws, which override county/city laws. It just happens to be a community (like a lot in Northern Virginia) that have a high number of immigrants. Virginia, specifically Northern Virginia, is number 10 on the national list of where undocumented immigrants live. http://wtvr.com/2016/03/30/the-states-with-the-most-undocumented-immigrants/. The number of foreign born Virginians (immigrants both legal and illegal) grew 19% between 2007 and 2013. These people aren’t going anywhere anytime soon, at least until we can get some laws passed in Congress (and they haven’t made any changes since 1996.) I say let’s take advantage of them as they do of us. Would you please name those states? If they want to give them licenses and claim they will get insurance for vehicle, Arlington County is really delusional. As a retired LEO these people like being under the radar. No taxes, no attachment, give different names and different addressees when stopped. Also claim they don’t speak the language. If they want a license let them become legal first and get a resident alien card. then we can talk about a drivers license. other than that all it is a way for them to show ID to vote for the democrats that give them more Public assistance and free benefits. I wonder if tax implications have been addressed in this proposal of providing illegal immigrants drivers licenses. The current IRS requirement is that any foreign person who does not have an itin and is from a country the USA does not have an international tax treaty with is responsible and levied at 30% on all winnings this money is deducted before any prize is distributed the state also wins because an additional 3% is also deducted from winnings. I have seen many illegals try to circumvent this law. If Virginia wants to give drivers licenses to illegals they need to understand the financial impact if it is not disclosed the individual is an illegal alien or temp visitor on that drivers license. So Arlington, or Arlington County is a sanctuary city, even though it is right next to the nation’s capital, and they also would like to give driver licenses to illegal aliens if they could. Don’t they know that the nation’s capital is at the top of the list as a potential target for terrorists? The members of the Arlington County Board who vote for this should all be awarded honorary Darwin Awards. Umm… Do some research on the topic. Washington DC itself licenses undocumented people. They don’t even need to cross the river or wait for a law to be passed so what Arlington Co wants to do doesn’t even matter. And Maryland does too. They just have to prove they’ve paid taxes for the last 3 years to that state/district. I would suggest that you do some research on the topic. A number of the 9/11 hijackers had VISA overstays and were in the country illegally and were able to easily get drivers licenses that they used to carry out the attacks. And being able to easily get a hold of IDs also makes it easier for future terrorists who are in this country illegally to operate in our society before they carry out their attacks. The more parts of the country that make IDs available the less safe that we are. Did terrorists flying airplanes full of people into the Pentagon and the World Trade Center make any kind of impression on you? The reason it has been so easy for terrorists to carry out attacks in this country, and for illegals to commit crimes, is a there are a lot of people in this country that lack common sense and/or don’t have the guts to do what is necessary to protect themselves. They have for whatever reason lost the instinct to protect their own lives. As a contrasting example to the brilliant policymakers in DC and Maryland, I would recommend you take a look at Japan. Japan does not gives IDs to illegals. In fact it arrests anyone in their country illegally and puts them in jail. Japan has very few people in Japan that are illegal aliens, and it has allowed very few Muslims to immigrate to Japan. Japan has a much lower violent crime than the US, and it has not once had an Islamic terrorist carry out an attack in their country. So which model do you prefer? Japan with no IDs for illegals, a lower violent crime rate, and no 9/11’s, or the US with IDs for illegals, 9/11 and more terrorist attacks on the way, and a much higher violent crime rate? This is absolutely outrageous. If they are not here legally, they are criminals. You can paint that any way you wish.